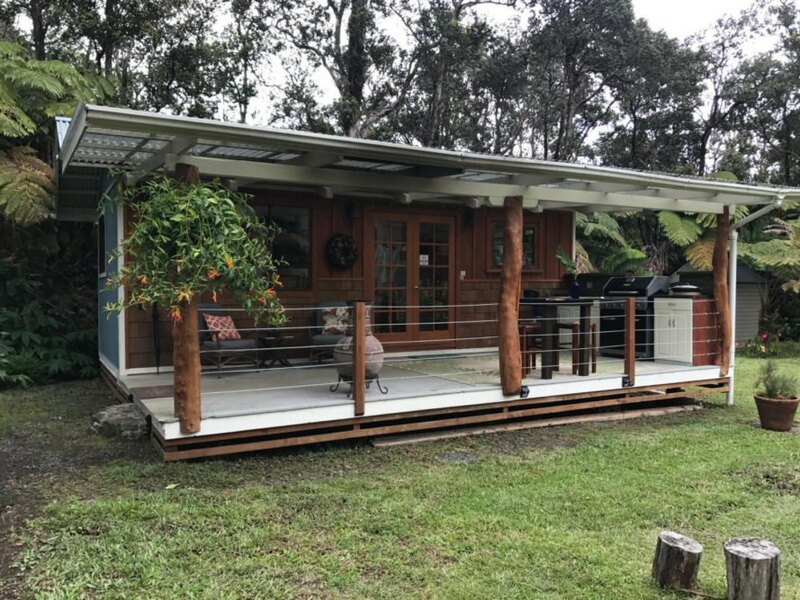 Tucked into a lush green rainforest in Volcano, Hawaii, this tiny home retreat has been designed to be a relaxing oasis for those wanting to immerse themselves into nature. 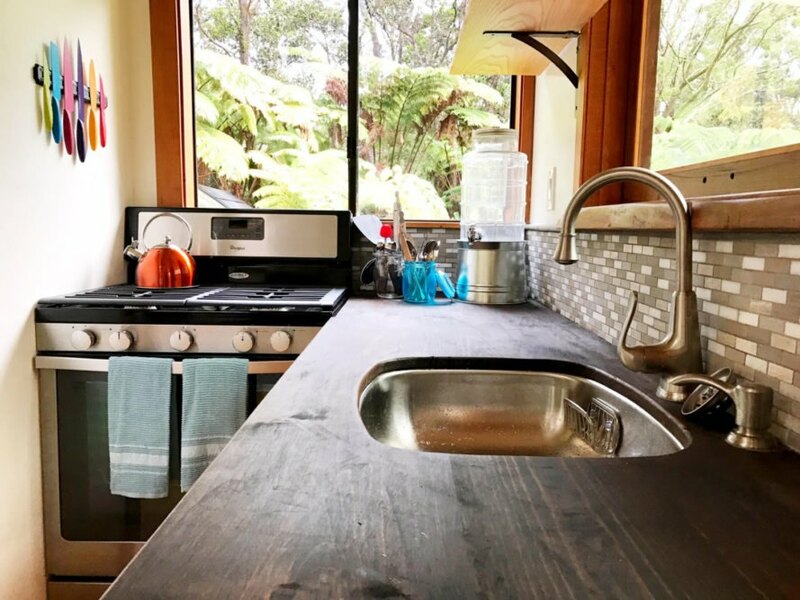 The Hale Iki cottage which is just 240 square feet, runs completely off-grid thanks to four 354 watt solar panels and rain water collection system. 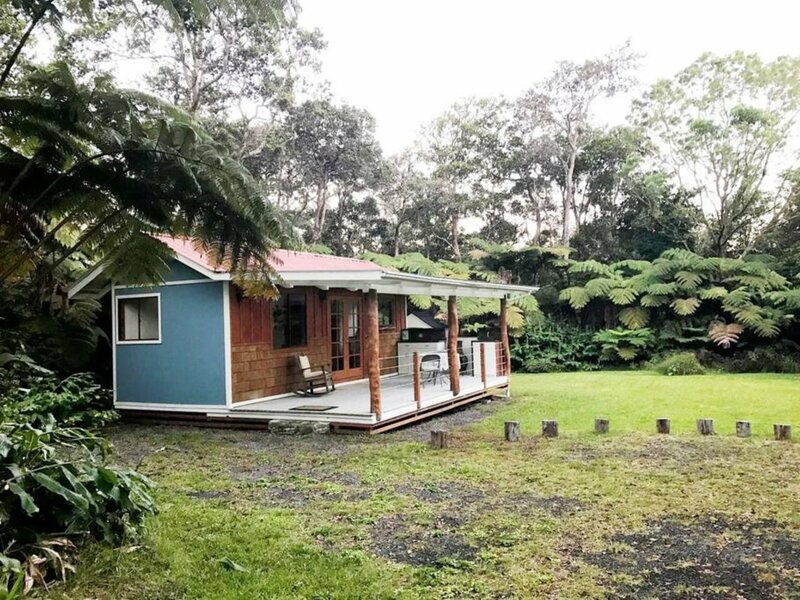 Located just outside of Volcanoes National Park in a clearing in the rainforest, the tiny cottage offers everything needed for a serene stay in a natural setting. 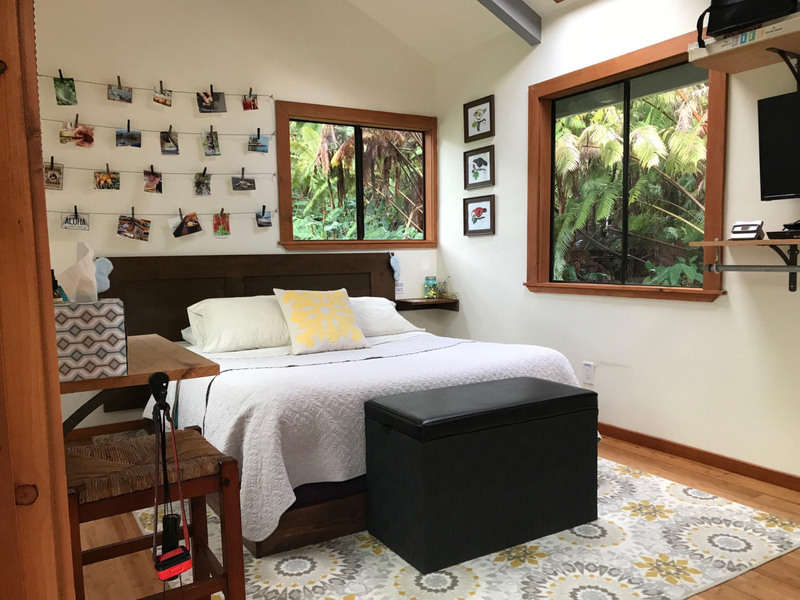 The home itself is surrounded by natural greenery filled with Ohio trees, hapu’u ferns, and lots of ti and hibiscus, and even has lava tubes on the property. 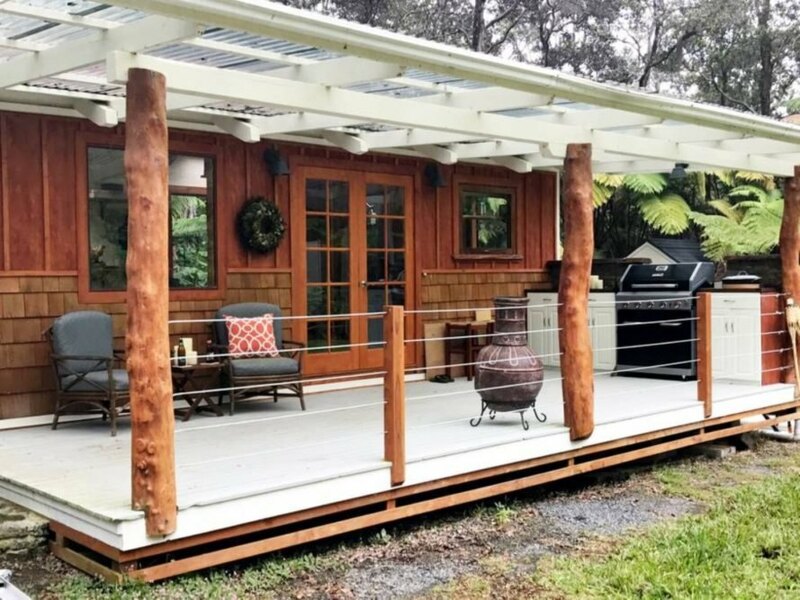 While the tiny home is at just 240 square feet, the lovely cottage is quite compact, but the extra large front deck makes the living space nearly double in size. An open-air porch with plenty of seating and a gas grill, this is the prime spot to relax and take in the stunning views. 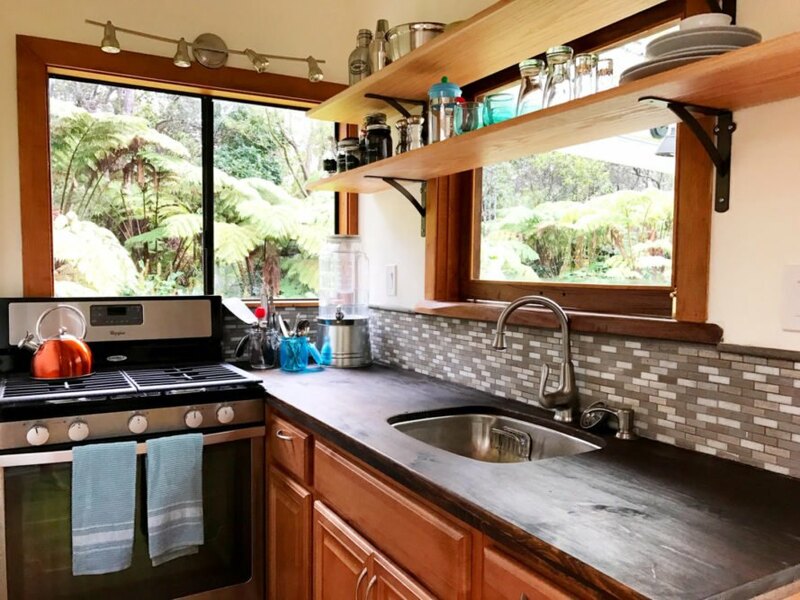 The rental home was designed to be completely off-grid. Solar panels generate sufficient power to run the home’s electricity needs. There is also a rainwater collection system installed on the roof that runs water into large water tanks. Although the home is completely off grid, that doesn’t mean there is a shortage of amenities. The interior of the home has been equipped with everything needed for a relaxing stay. A large kitchen with a solar refrigerator and other modern appliances provide everything needed to prepare home-cooked meals. The living room is filled with comfortable furnishings and a flat screen TV and the bedroom sleeps two comfortable in the queen-sized bed. Natural light floods the interior, but of course, the best natural light can be found just outside the front door. The Hale Iki retreat is just 240 square feet. The home features a large open-air front deck to enjoy the views. The front deck has plenty of seating and a gas grill. 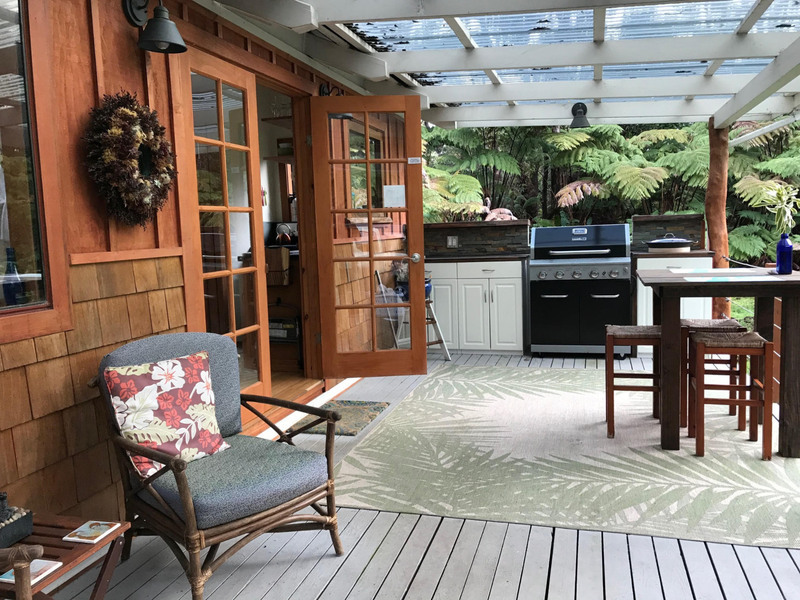 The outdoor space adds much more space to the tiny cottage. The tiny cottage sleeps two comfortably. 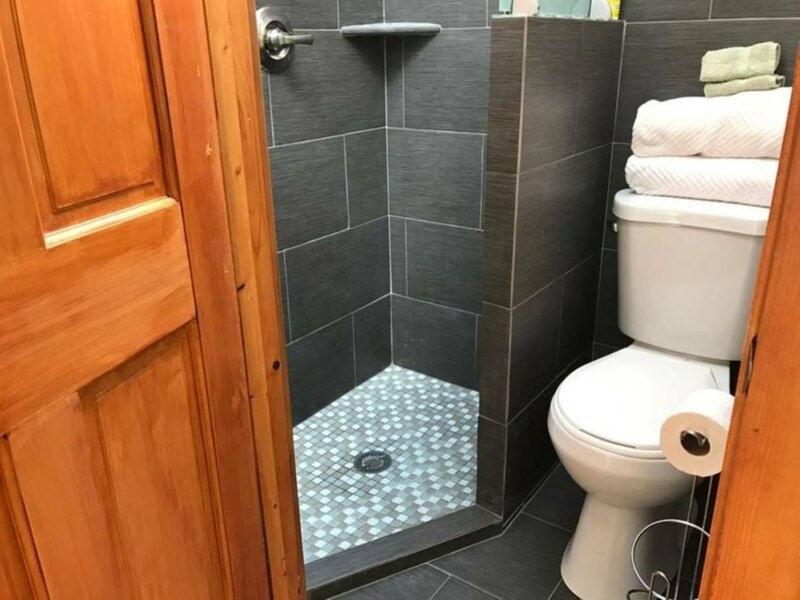 The tiny cottage has all of the comforts of home. The interior boast a large kitchen with a solar refrigerator. A lovely dark wood countertop was recently installed. 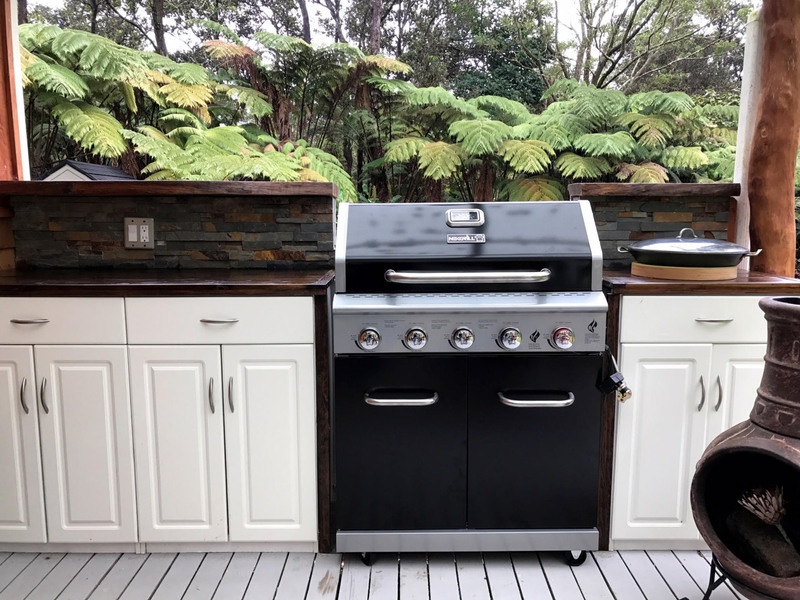 An outdoor gas grill is perfect for al fresco dining.